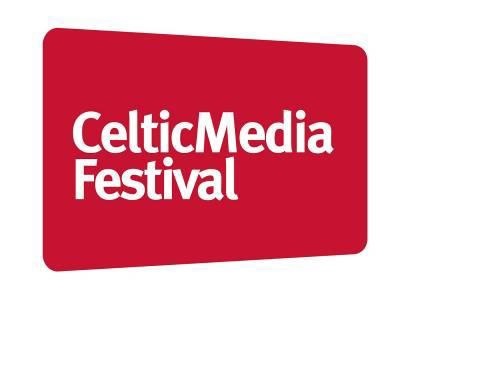 The Celtic Media Festival has revealed the details of this year’s programme, due to take place in Llanelli, Cymru over 2 – 4 of May. The programme celebrates the influential media industry of the Celtic nations and regions and features key figures from the media and broadcast world. The festival is supported by Northern Ireland Screen, the Broadcasting Authority of Ireland, TG4, BBC Scotland, RTÉ, MG ALBA, S4C, BBC Northern Ireland and BBC Cymru Wales. On Friday 4th of May, BBC’s Director of Nations & Regionals Ken MacQuarrie, will give Celtic Media Festival’s 2018 keynote speech. Appointed to the newly created role in September 2016, MacQuarrie is responsible for bringing together and enhancing the BBC’s offer to the nations and regions of the UK and sits on the BBC’s Executive Committee. Throughout the three-day Festival there are fantastic networking opportunities. The International Pitching Forum brings together independent production companies to formally pitch to some of the most important commissioners and decision makers in the broadcasting world. They are now accepting submissions from today through until 17th of April at 5pm. For more information on how to pitch to commissioners from all over the Celtic nations and regions, you can check out the Pitch Page of their Website. On the Thursday of the Festival Speed Networking – Producer to Commissioner takes place. One of the most important parts of Celtic Media Festival is sharing ideas and fostering relationships between broadcasters, filmmakers, commissioners and producers. This event gives people the opportunity to meet Commissioning Executives from the Celtic Nations and Regions. From Blue Planet and Planet Earth, to Springwatch and Natural World, the public’s desire for nature programmes is insatiable. In Naturally Brilliant, Richard Rees interviews Anne Gallagher, Graham Horder and John Murray about what goes into filming these awe inspiring spectacles and with the constant development of new technologies, what does the future hold? Prolific comedy producers and performers, and all round funny guys Gordon Kennedy and Gus Beattie will discuss their comedy success with Paul English. Gordon’s acting, producing and writing career spans 30 years and includes award-winning Big City Park and more. MD of Gusman Productions and Winner APAs Best Radio Comedy Producer 2016 Gus Beattie has had a prolific writing career, he was responsible for creating and producing award-winning content for BBC Radio 4, BBC Radio Scotland and BBC Radio 5 Live. In TV he co-created BBC Scotland’s Gaelic comedy showcase ‘Comadaidh Oir’ (Comedy Gold) and was Assistant Producer for BBC Scotland’s football chat show ‘Offside’ with Tam Cowan from 2004 – 2007. In, RTS Cymru Wales Presents: Un Bore Mercher/Keeping Faith – A Tale in Two Languages, freelance executive producer and RTS Wales Chair, Judith Winnan, discusses the drama series Un Bore Mercher/Keeping Faith. It proved very popular on S4C, standing out as one of the channel’s most-watched dramas on-line and garnering a unique following across the UK. This session will discuss the success of what has become the most popular show on BBC Wales in 20 years, and the most downloaded programme on iPlayer. What goes into creating a bilingual drama series, and does the story transcend language? Joining the panel will be Adrian Bate, Amanda Rees and Maggie Russell. The Adaptable Colin Bateman will see prolific novelist and television writer Colin Bateman discuss his career in writing. His first novel, Divorcing Jack, was published in 1995 and won the Betty Trask prize. Colin is the author of many critically acclaimed novels, including several that he has adapted for the screen. This session will look at how you adapt other writers’ work for TV and delve deep into the process of writing for a television show and how adapting your own work for screen differs from the original scripts. The 39th Celtic Media Festival takes place over 2 – 4 May 2018, and will see hundreds of delegates enjoy a packed festival programme in Llanelli, Cymru. One of the many festival highlights will be the presentation of the Torc Awards for Excellence. Categories include Factual Series, Arts, Drama, Sports Documentary Current Affairs, Radio Station of the Year and History.